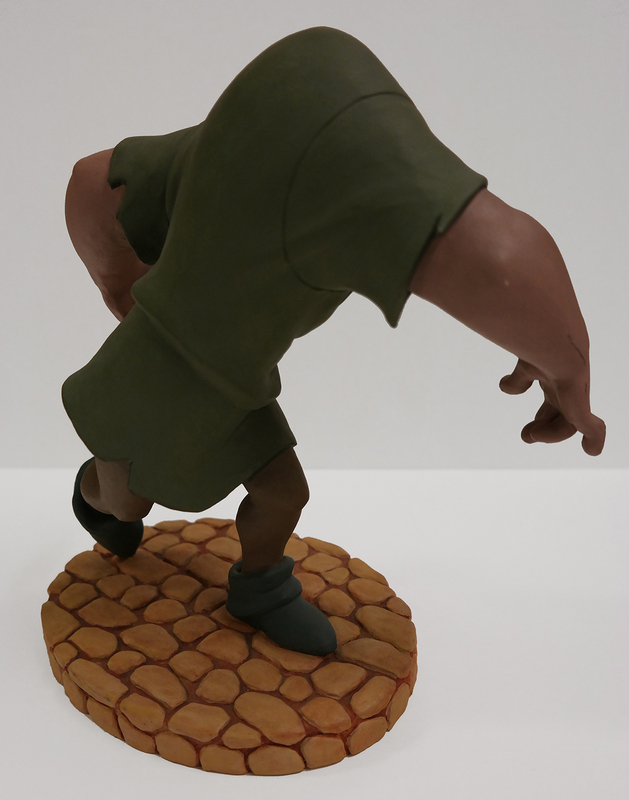 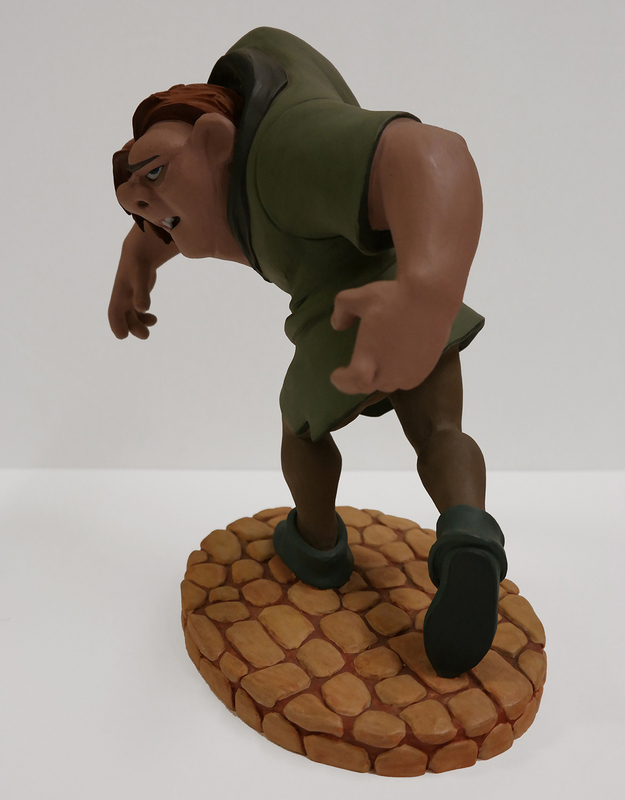 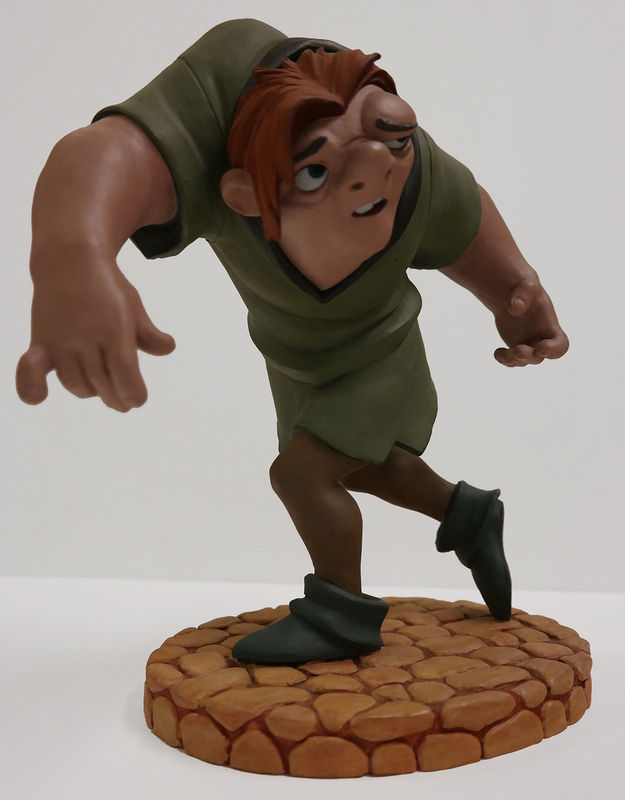 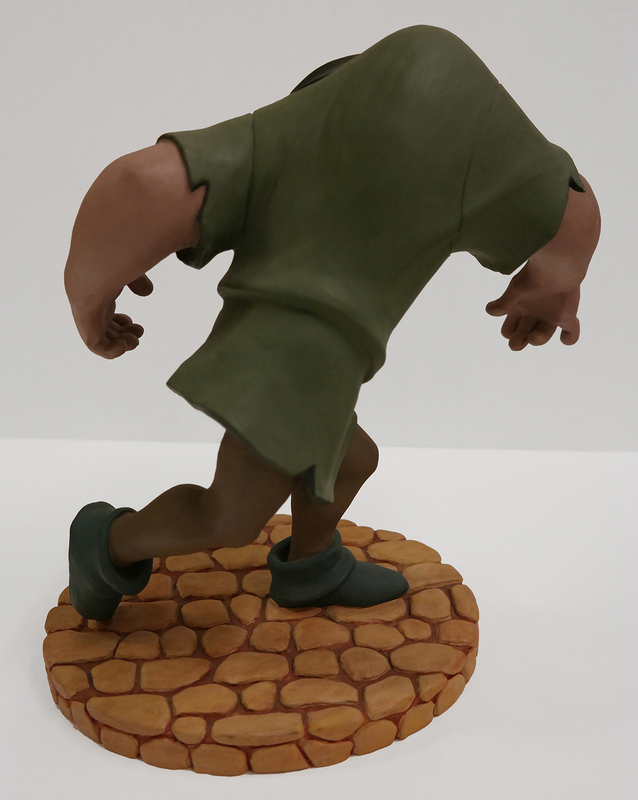 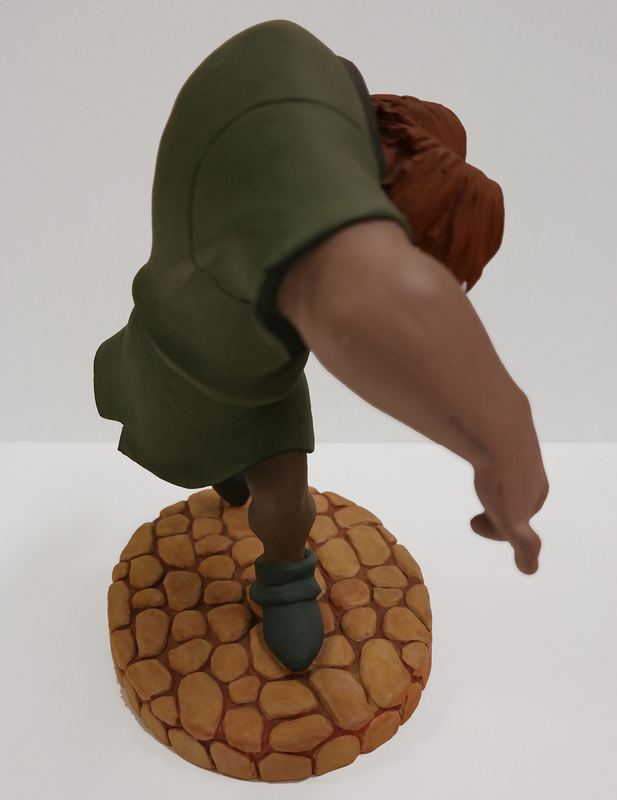 9.5" x 10.5" x 5.5"
This is an extremely rare production maquette of Quasimodo from the Walt Disney Studios production, The Hunchback of Notre Dame (1996). 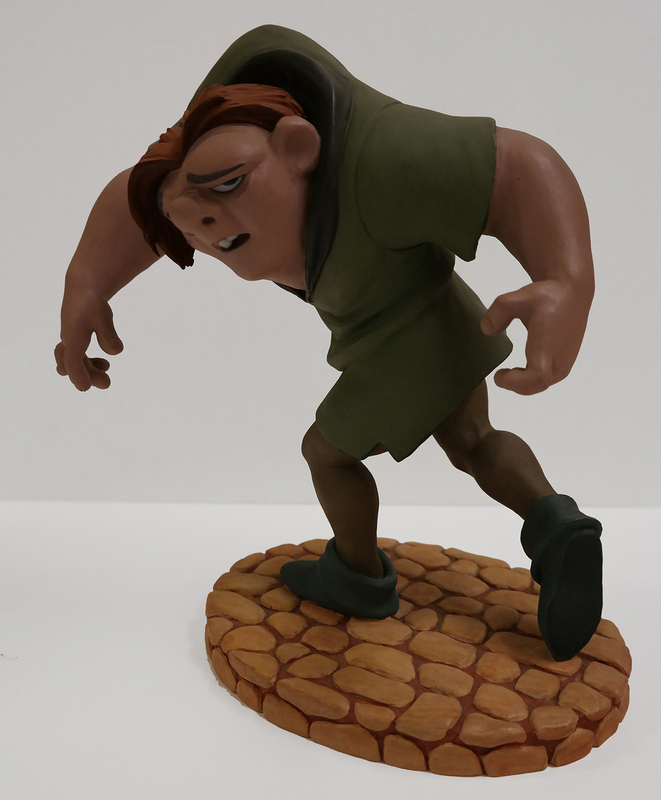 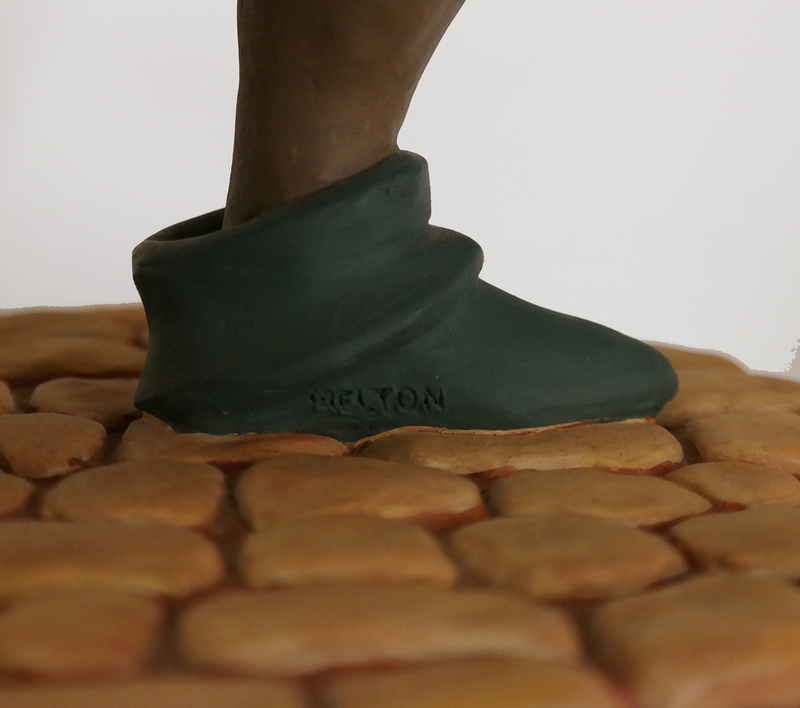 Maquettes are sculptures created during production and used by animators as reference when drawing the characters. 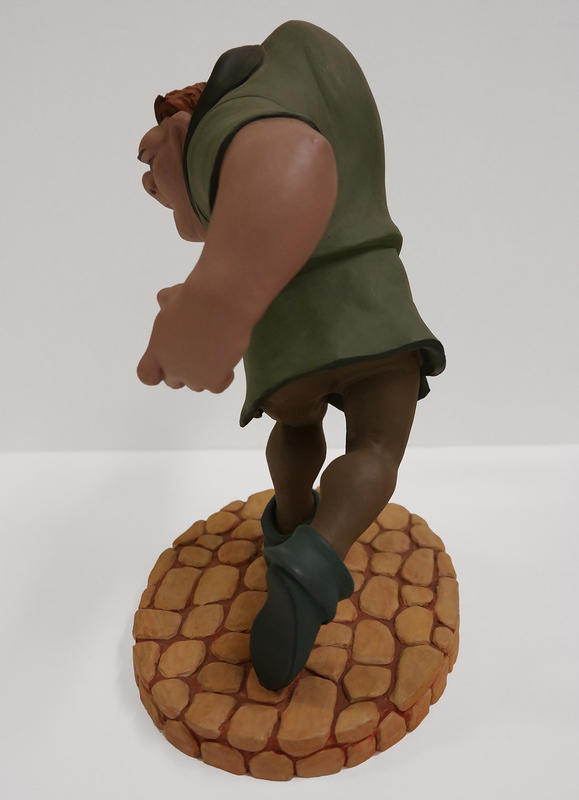 Only a handful leave the studio and very few are offered for public sale. 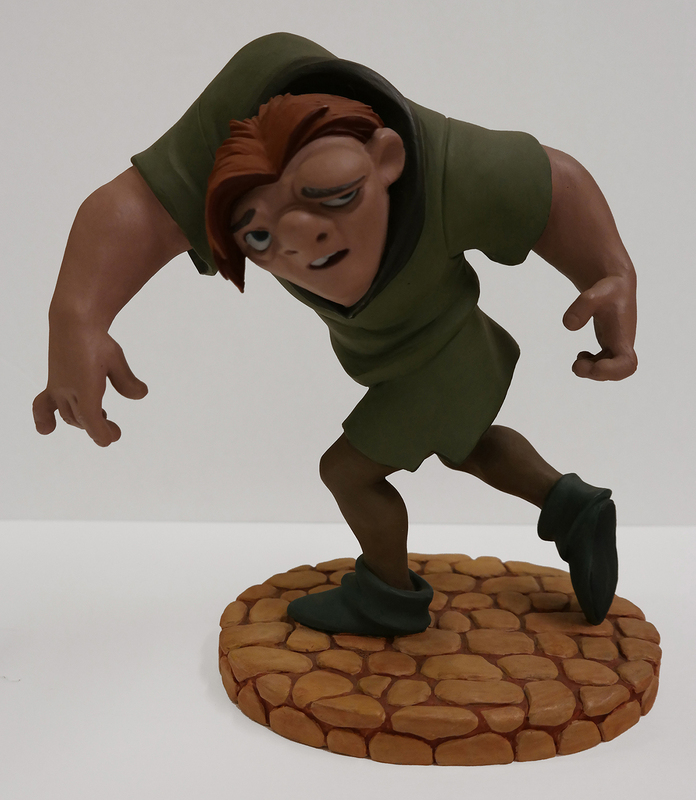 The original sculpt for this maquette was created by the legendary Kent Melton. 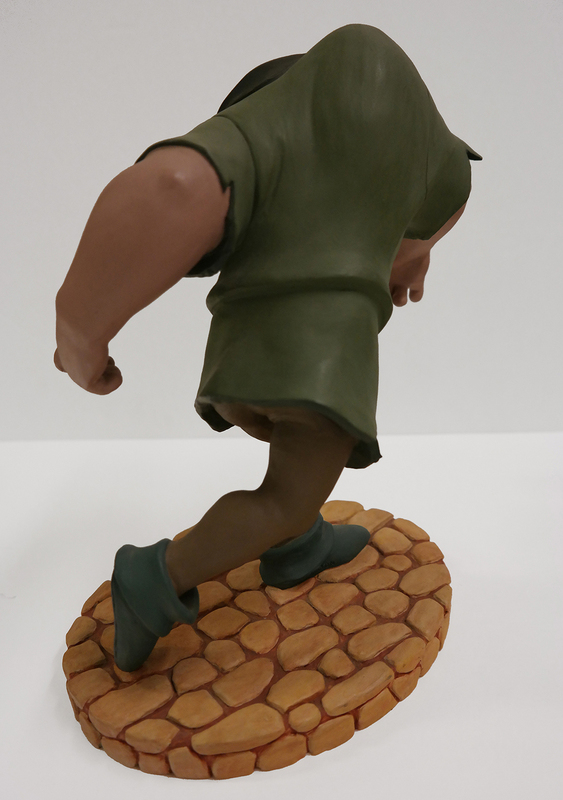 The maquette is cast in a resin compound, and painted by the studio's ink and paint department. 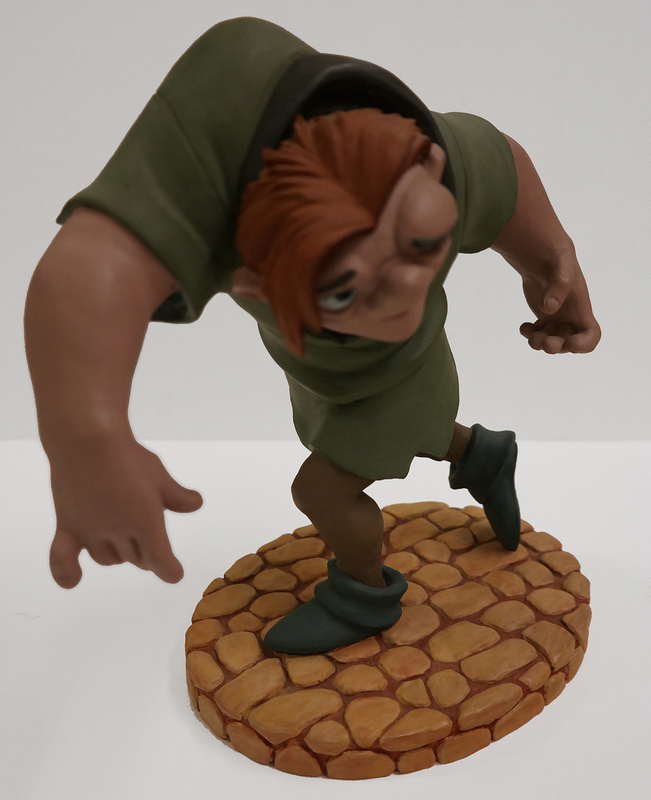 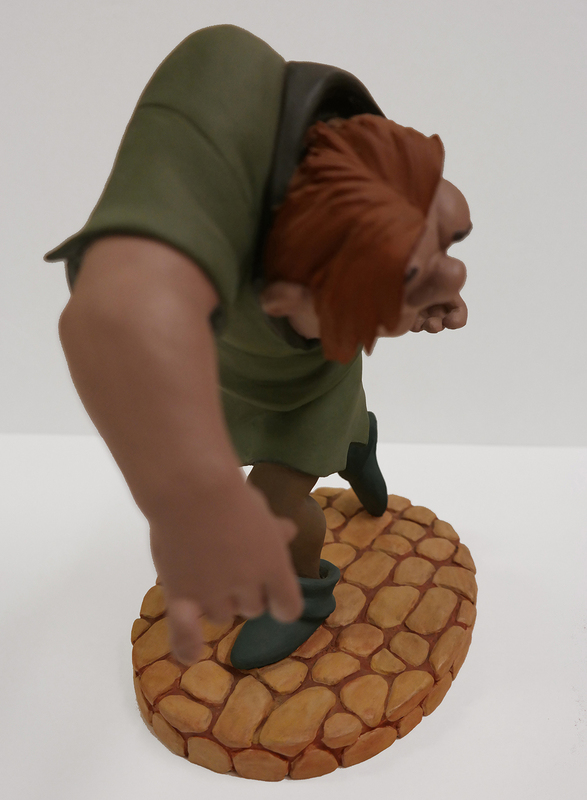 Quasimodo measures approximately 9.5" tall and is in very good condition with a small scuff on the backside of one arm.